Here are the 16 best brain supplements & best nootropics backed by scientific studies! You want to perform better at your job, become smarter, think faster, remember more, and maintain clarity and focus throughout the day. Maybe you feel like you’ve plateaued in your mental development and think that you are deficient in something that your body is lacking – a vitamin, amino acid, something. You feel like you’re not as sharp as before. If you have seen the movie, Limitless, with Bradley Cooper, you know what I’m talking about. Now, these supplements aren’t going to be like that, but will definitely give you an edge on the competition. Plus, it’s always better to be safe than endangering your health with dangerous drugs with high side effects. I have used most of these supplements, still trying out a lot. Some are incredible, while others are hard to tell if they’re making a difference – and makes you think if you’re just wasting money. I will give you my opinions on each and tell you which ones that I had the most success with. I have backed all of the claims of these brain supplements with scientific studies. They are interesting and worthwhile to read. Supplements are great HOWEVER, I believe in looking for foods first whenever possible. So next to the supplements, I’ll ALSO list foods that are rich in that nutrient. Remember – Everyone is different, if something didn’t work for me, it still might work for you. Please remember that you should address your nutrient deficiencies first before moving on to the these supplements. Not many people know that they are deficient in a lot of vitamins. 70% of people have Folate (b9) deficiency – caused by THIS common gene defect! ALSO, a GOOD gut flora is a must for any healthy individual. Our gut is considered our “2nd Brain” and DIRECTLY affects your mood and cognitive abilities! If you ever took an antibiotic, it has killed your healthy gut bacteria. Taking in foods rich in probiotics is an absolute must. If this helped you, Please Share this list of the Best Brain Supplements and Best Nootropics with your friends! Is it backed by Scientific Studies? Does it work? How does it make you feel? Do you notice any negative side effects? Is it made from quality ingredients? First, we’ll display a comparison table of the best ALL-IN-ONE Nootropic supplements. Hopefully this gives you a good visual comparison and will help you in your decision process. Second, we’ll go into detail with each individual ingredient and go over their scientific studies and why they make the best brain supplements. Here is a brand new supplement for your brain that I found that is extremely promising, I haven’t tried it out yet but people are raving about it. People like Ben Greenfield have hailed this as “The God Pill” (not trying to be blasphemous here). It’s called Qualia by NeuroHacker and I highly encourage you to check them out. I didn’t include it in the list above because… well it’s pretty expensive and is in a class above the rest. Qualia literally has EVERYTHING – 42 ingredients. It is the creme de la creme, the Cadillac of smart supplements. Use code “flexyourbrain” for a 10% discount. Everybody has heard of ginkgo biloba at some point in their life. Ginkgo biloba benefits are incredible and have stood the test of time in prescription medication in Europe and traditional Chinese medicine. However, there have been some recent scientific criticism about the benefits of ginkgo biloba. I wouldn’t be too concerned with the recent studies, I believe that there’s a reason that ginkgo biloba has stood the test of time in many civilizations and why it’s even a prescription in Europe – it’s because it works. It has easily made it on our list of best brain supplements & best nootropics. Looking for a convenient All-In-One supplement for your brain? Jeopardy Champion Ken Jennings takes this supplement. And it has a lot of these science backed supplements in it. Vinpocetine is a synthetic form of vincamine, which is a natural occurring compound found in the periwinkle plant. This is a relatively new brain supplement that straddles the line between smart drug and brain supplements. In other countries like Europe and Japan, Vinpocetine is only available by prescription, but in the US it is an over-the-counter supplement that you can get easily especially on Amazon. Doctors in Europe believe that this supplement is more effective than ginkgo biloba which has a very good reputation as one of the best brain supplements. I really liked Vinpocetine. You definitely receive a mental clarity different from caffeine. It’s not a HUGE difference but you can definitely tell… you have to take it for a week to notice a difference. Sadly, after awhile I began to have huge headaches and so I stopped taking it. This could be from that specific brand I was taking, source naturals. I also was taking a little bit too much. So if you decide to try this out, note that it takes a couple days to a week to feel anything and that you need to pay attention to the dose and not overdue it. 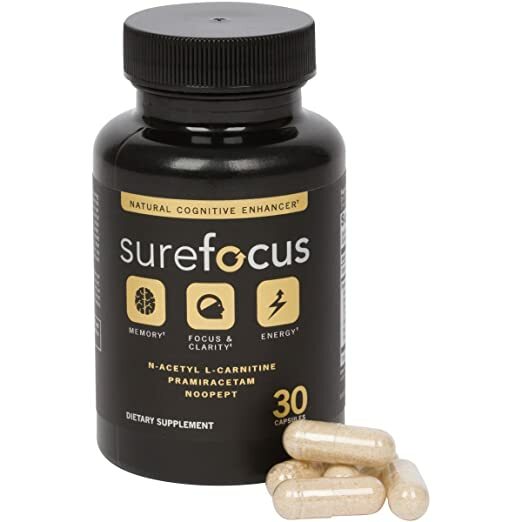 While I didn’t find much luck with this, I still added it to the list of It has easily made it on our list of best brain supplements & best nootropics. Other people have received great results with this, and it’s worth a shot. Bacopa Monnieri is now included in my best brain supplements list – It is a traditional herbal brain elixir that has been used for THOUSANDS of years to enhance learning, memory, and focus. It works by balancing out your levels of serotonin, dopamine, and GABA, and while decreasing the levels of cortisol, which is your stress hormone. If you’re stressed out, this is an excellent choice if you have problems with your memory, learning, and concentration because you’re stressed out. Phosphatidyl Serine is a phospholipid (a key part in every cell membrane of the human body) and is found in high concentrations in the brain. PS supplements are usually derived from soybeans. Phosphatidylserine acts as the gatekeeper to your brain by regulating which nutrients get delivered to the brain and what the brain decides to waste. It’s awesome for boosting your memory, concentration, overall learning, and overall brain cognition. Some large studies have shown that phosphatidylserine could be an effective treatment for Alzheimer’s disease and other cognitive diseases. Guess what, it can even improve your golf game! Check out the study here. It’s commonly used to increase memory by students to improve exam performance. Phosphatidylserine 200 mg by Solgar – Solgar is another fantastic supplement brand. Phosphatidylserine Isolate by Thorne – More Expensive – This is an isolated form and helps with a bunch of things like hormones. Rhodiola rosea is another herb that is derived from the Rhodiola plant. Source: Adaptogen, A. P. P. (2001). Rhodiola rosea: a possible plant adaptogen. Alternative Medicine Review, 6(3), 293-302. It helps by reducing brain fog while increasing clarity, focus, processing speed, better moods, and memory and also keeps your brain young. One study found that acetyl l-carnitine stabilizes tau proteins that entangle the brain and possibly cause Alzheimer’s. It is also a antidepressant that usually brings relief within about a week of using it every day. It helps utilize glucose in the blood by the brain more efficiently by increasing insulin sensitivity of the brain cells. If you consume too much alcohol, it may also prevent brain damage. Avoid the cheap inexpensive l-carnitine supplement on the market and don’t confuse it with acetyl l-carnitine. ALC is highly bioavailable in crosses the blood brain barrier more readily compared to l-carnitine that you want to avoid. Citicoline is a compound that occurs naturally in your body’s cells. This is a great compound and supplement to take! Increases brain energy by engaging your cell’s mitochondria. One study showed that it improved memory as well as the study drug piracetam. It increases the levels of your neurotansmitters (acetylcholine and dopamine). Citicoline supplements have been shown in studies to improve memory, attention, focus, and concentration. Also, citicoline has been considered safe. If you look at any good all-in-one brain supplements, you will find that it contains Citicoline or Cognizin because it’s considered one of the best nootropics and best brain supplements out there. You can’t digest citicoline directly from food. Your best bet is to eat foods that are rich in Choline, which will eventually turn into Acetylcholine and citicoline. Examples of food with choline. If you need further explanation, Oregon State University has great choline information. L-alpha-glycerylphosphorylcholine, also known as Alpha GPC, is the synthetic version of choline and is obviously related to citicholine mentioned above. Now choline is the precursor of acetylcholine. Acetylcholine is the neurotransmitter responsible for remembering, comprehension and learning. Alpha GPC is sold almost everywhere as a supplement for memory. However in Europe they have a prescription medication for it to treat Alzheimer’s. In a lot of the best brain supplements out there, you will find Alpha GPC. It’s no surprise that caffeine is an extremely powerful stimulant that most people consume every day and is considered a nootropic. However, there are some side effects to it but L-Theanine can help with those side effects. A good source of caffeine and L-Theanine is found in Green tea. While caffeine in excess causes some negative side effects like ”the jitters”, L-Theanine appears to relieve those side effects. There are certain studies looking at the effects of both caffeine and L-Theanine. More Studies on Caffeine / Coffee Can Improve Energy Levels and Make You Think Sharper. I don’t really like the taste of coffee or tea but I have been consuming it for the last couple months and I love the affect on my mood and concentration. I’ve been really into the Bulletproof Coffee Technique by a cool guy named Dave Asprey… I use his technique with Yerba Mate. I’ll try to write an article about this later. Yerba Mate: This is the brand I use. It doesn’t have L-Theanine, but I love this stuff! Coffee: This coffee is awesome! I tend to get coffee jitters – using butter and coconut oil helps sustain the caffeine release and reduce jitters. Creatine? What? Yep, creatine is an extremely well-studied supplement that is mainly known for assisting in building muscle mass and strength. Don’t worry women, this isn’t going to stack muscle on you, so take a chill pill. More and more, it is being recognized as a nootropic. Studies have demonstrated that supplementing your diet with creatine will improve your short-term memory and reasoning skills, which suggests that this is both a great brain and performance booster a.k.a. nootropic. Creatine is a substance that your body uses on a regular basis, so it is completely safe. Dr Jose Antonio quickly gives his two cents about Creatine and the Brain. Creatine is great, especially if it’s couple with a form of caffeine. When you hit the gym, you feel focused and you have more energy to finish out the reps (why it’s a great supplement for building muscle and strength). Even if you’re not at the gym, you still have that focused feeling. It’s the most studied compound in the fitness world and it’s reassuring that your body actually needs creatine for specific functions. I take the Creatine Monohydrate form of creatine since all of the studies have researched this specific form. Creatine does take a loading period of 3-5 days to get into your system. Creatine won’t make you fat, and it won’t stack muscle on you if you’re not training for muscle (lifting heavy – weight lifting). I think women in general (like my sister) are deathly afraid of weight training and getting “bulky”. If you’re looking to burn fat, having more muscle is a good thing! If you haven’t tried it out, it’s definitely worth a try. Creatine Monohydrate: Another great thing about creatine is that it’s cheap! Curcumin is the ingredient inside the Indian spice turmeric. It’s extremely potent and responsible for most of turmeric’s health benefits and gold color. It has been widely used for centuries in Chinese and Indian medicine to reduce inflammation in the body. It has been used to treat a wide variety of conditions that involve inflammation such as Crohn’s disease, ulcers, arthritis, cystic fibrosis, IBS and IBD. There is a catch though. Curcumin is poorly absorbed by the body. In fact, 85% of curcumin supplements pass straight through the intestines virtually unused. Talk about a waste of money! HOWEVER, one trick that is scientifically proven to increase the absorption of curcumin by 2000% is to add black pepper (or BioPerine) with your turmeric or curcumin. Black pepper contains an ingredient named piperine which is responsible for this incredible absorption rate increase. DHA could be the single most vital nutrient that you need for optimal brain function. It is one type of omega-3 essential fatty acid and is a major building block of the brain that is responsible for creativity, emotion, attention, language and memory a.k.a. the cerebral cortex. Another important DHA function is that increases the communication between brain cells. Not only does it benefit the brain, but also benefits the whole body by lowering triglycerides, decreasing hypertension, reducing heart disease including high cholesterol and high blood pressure. I always try to get my DHA and other Omega 3s from food. Pills and supplements are great, but I highly believe in obtaining your nutrition from food first THEN supplementation when you can’t get that specific nutrient through food consumption. Note that most foods high in DHA in also have EPA in them which is another type of beneficial omega 3. Eggs, Krill, and Fish like salmon, halibut, tuna, tilapia, seaweed etc. REMEMBER: the higher up you go in the food chain, the more toxins that organism is exposed too. You’re screaming, “But I’m VEGAN! !” Don’t worry too much. ALA Omega 3 essential fatty acids can be synthesized in the body to EPA and DHA. BUT, depending on your body, it may or may not be enough for you. Veganhealth has a great article on this if you want to check it out. There is a major concern with fish oil supplements or EPA and DHA supplements because of the high mercury content found in fish today due to pollution. Focus on sources that contain phytoplankton and krill – The higher up you go in the food chain, the more toxins that were organism will be exposed to. Focus on brands with high reputation for quality and ensure it with testing and a good quality control program. Focus on brands that catch their fish and organisms in waters that have low pollution. Nordic Naturals: They have an extremely good record and reputation for high quality fish oil supplements and DHA supplements. There are a lot of other ones out there that are good too, however, this is the one that I have researched and personally take and like. No fish burps (rancid oil). There are other brands out there that are hit or miss on quality and it’s annoying to return. Dr. Mercola’s Krill oil: This is another one you might want to look into. Good, solid product. The first one shipped to me, the capsules were broken. I showed them a picture and they sent out another one next day air. They have a great customer satisfaction policy. Ginny has some great information on DHA to check out. This is one of the best brain supplements to get your body on. I haven’t had much luck with this particular supplement. I have tried high doses and low doses. I really don’t feel much of anything to be quite honest. To be fair, it was a supplement that had a bunch of other things inside including the Huperzine A. Since other people have had success with it, I’ve included it on this best brain supplements list so you can try it out if you decide. I do want to try this out again, perhaps it was the brand that I was trying. I’m most likely going to try out the Source Naturals brand next. Another highly research nootropic derived from the ginseng root. Bucci, L. R. (2000). Selected herbals and human exercise performance. The American Journal of Clinical Nutrition, 72(2), 624s-636s. Authentic Asian Ginseng by Auragin – This is one of the highest quality Ginseng supplements out there. Grown, harvested, and processed with the utmost care! Piracetam is a cyclic derivative of GABA. It works with choline like a tag team. They both can work alone but work extremely well together. It was synthesized way back in 1964 in a Belgium laboratory – UBC Pharma. This was first of the so called smart drugs. Piracetam works by increasing your acetylcholine uptake and targets specific areas of the brain that is responsible for memory. I don’t have any recommendations for this one right now… I’ll let you know when I do. See Alpha GPC and Citicoline above – both forms of Choline. Passionflower is an herb derived from the passionflower plant. In smaller scientific studies, this herb has been extremely helpful to decrease anxiety. I haven’t tried passionflower yet, but I’m curious to see how it works. I have a long list of things to try out. These powerful brands have most of the brain supplements on this list! These are also very convenient because, who really wants to buy 5 – 10 different pills everyday – opening and closing them everyday. It’s a pain! I’ve been there. Whenever i can, I try to get an all in one. I’ve tried the top two brands and some other ones belowSome brands that I love are below! 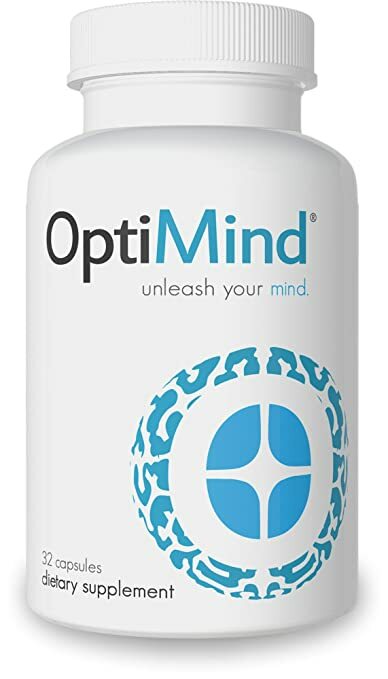 Brain Pill – Great product, I’m going to do a review on it soon. Jeopardy Champion Ken Jennings uses and promotes this. Sharing is caring! Also, as always, I’d love to hear your feedback. Please let me know in the comments below if the article was informative or not and what supplement most excites you!